Although the end of summer is near as fall starts to creep upon us, you can be sure there are still a few hot days to cherish before we can say goodbye to sandals and hello to sweaters. To keep your mascara from melting and your foundation from fading, we have some tried and true tips! · To create a smooth canvas for makeup to adhere to, use a primer prior to foundation application. (We love applying ours with the F60 or F80 for a seamless application). · The same goes for your eyes in regards to a primer; apply an eye shadow base to leave eyes looking cool, not creased. The P82 is our go-to tool for that. · Oil-based cosmetics don’t mix well with hot weather. Your best bet is to opt for light and shear foundation for the longest lasting results, or even better – simply use concealer on problem areas and skip foundation all together. · Keep your makeup run-free by choosing waterproof products, this is especially important when it comes to eyeliner and mascara. · Complete your makeup look by setting face with a light application of loose powder -- the ultra-soft and fluffy F20 works wonders! Pro tip: Freshen your makeup later on in the day with a quick mist of facial toner. 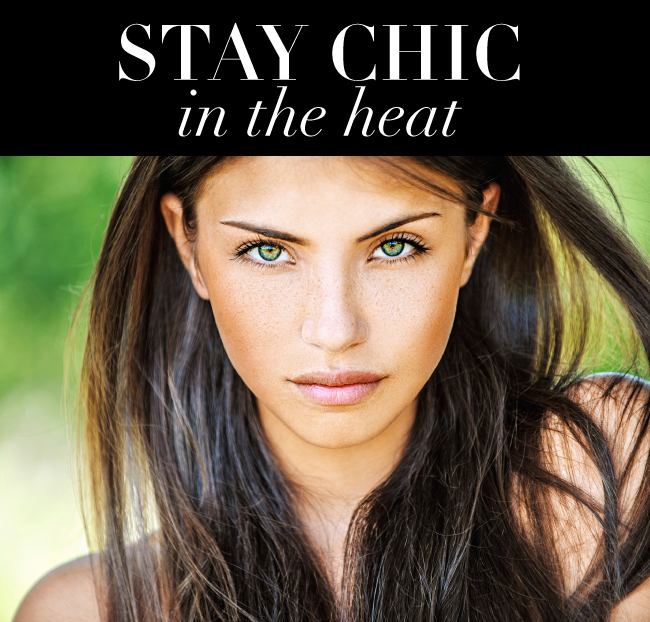 What are your top tips for staying glam under the sizzling sun?